Recycled iPhone: what is it, how to distinguish it from the original? What is a restored iPhone? Today, more and more, you can find such a product as “iPhone like new” among the offers of domestic stores. Many will think that this is a hoax. In fact, we are talking about the original iPhone, but only undergone a recovery procedure. In other words, such a phone is a repaired to the state of a new restored iPhone. Such proposals became especially relevant after a significant drop in the ruble exchange rate, when new original Apple phones were sold at an exorbitant price. But to buy an iPhone 5, 6 or 6S, which looks like a new one, but costs much less, many consumers can afford. 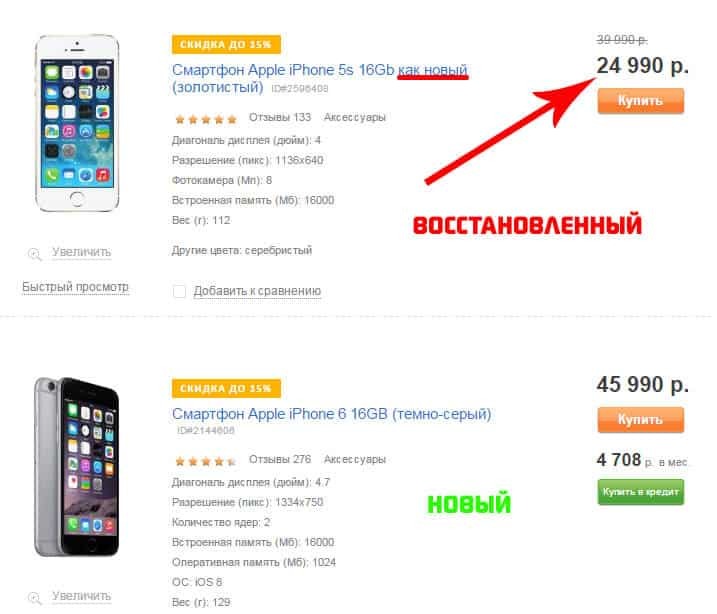 The approximate cost of such devices in rubles is the price of new original devices before the crisis. Recovered iPhone: what are they? At the moment, there are two types of restored iPhones on the market. The first is a device reanimated at the official Apple plant. These are devices that, in the process of preparing for sale or in the first year of operation, were found defects and these devices were exchanged for new ones under warranty. These phones are transported to the production of Apple, where they are repaired and re-enter the market for mobile devices under the unusual label "Apple Certified". Such devices are not sold at the usual price, but with a significant discount. 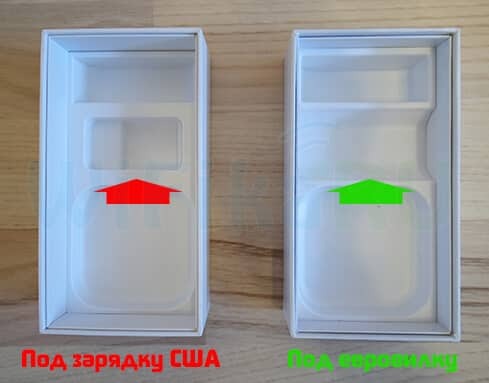 However, such iPhones are packaged in the same way as new original copies and are visually indistinguishable from the latter, except for packaging. The box of the restored phone is made in white color and there are no images on it. 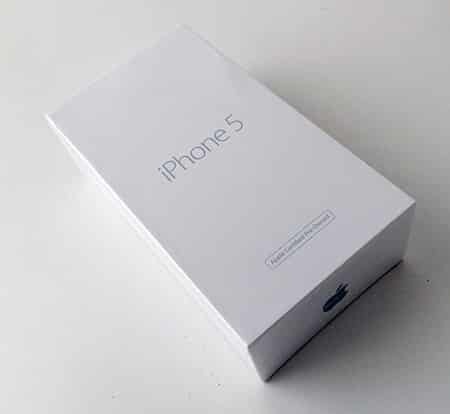 On the front of the package is the name of the model iPhone. Another type of refurbished phones is devices repaired at unofficial firms and manufactures. In addition to the large number of iPhones exchanged under the guarantee, which go straight to Apple’s official production, a significant part of similar non-working devices is bought by Chinese companies for a penny. These firms specialize in restoring the iPhone. Such companies also successfully reanimate non-working copies of phones and put them on the market with the mark “Refurbished”. When purchasing such devices, it is necessary to be as attentive as possible. Not every Chinese company is able to carry out a quality repair of the iPhone 6S. By purchasing such a phone, the consumer cannot be absolutely sure that in a month another after operation he will not turn into a brick that cannot be used further. After repairing such a phone, as a rule, only the motherboard and the processor remain from the original device. An authentic touch ID can also be used. Everything else in this device is changed to non-original components. 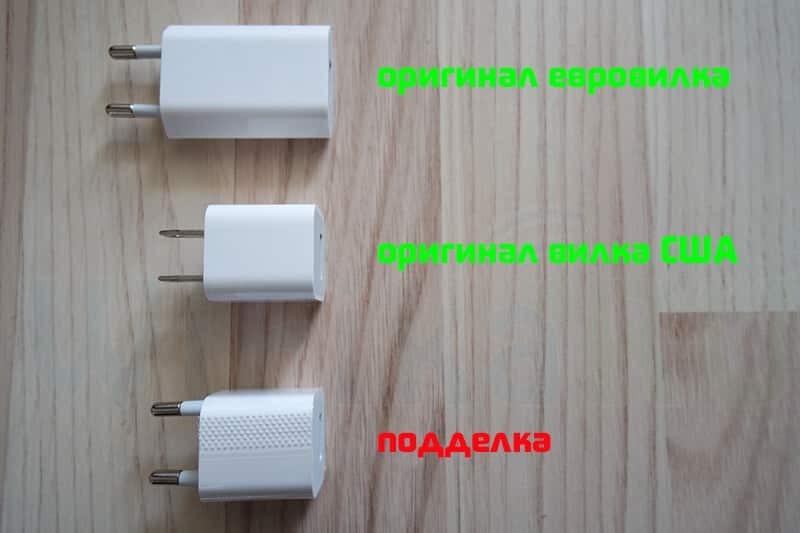 Often, these phones change the screen, case and battery. In addition, not all original accessories will be original. For example, a USB cable, charger, headphone, and a clip to remove the SIM card. Not authentic will be the box from the phone. Among the proven Chinese manufacturers of restored iPhones, Comwingo Electronics can be recommended. This is a large company, which is distinguished by the constant presence in the assortment of models of iPhones, which are guaranteed to function with domestic LTE networks 4G. After all, it is not a secret that often the main problem of phones supplied from Europe or the USA is that they do not work with Russian mobile operators. How to distinguish a new original iPhone from a restored or Chinese copy? In order not to get into an unpleasant situation, when under the guise of a new phone, the consumer was sold a used or restored iPhone, it is necessary to pay attention to a number of key details. First, it is important to evaluate the complete set of the device. Of course, the most important part of the kit is the phone itself. But on the accessories in the box, you can draw some conclusions. The best option is to buy a phone in a new package, fully equipped and with relying documents. Although today there are a lot of resources in the network, which are laid out the blanks of sales receipts, warranty cards from a variety of manufacturers. Almost any advanced computer user can download such samples of official documents, make the necessary edits and print them. Therefore, the presence of the original warranty card, even from the iPhone 6S, of course, is a definite plus, but you should not completely trust the seller, considering all the above,. The first thing you need to pay attention to the headphones that come bundled with the device. If the phone looks like a used one, and the headphones are brand new - this should raise suspicions among a potential buyer. Also, it is necessary to visually assess the appearance of headphones and a plastic box. 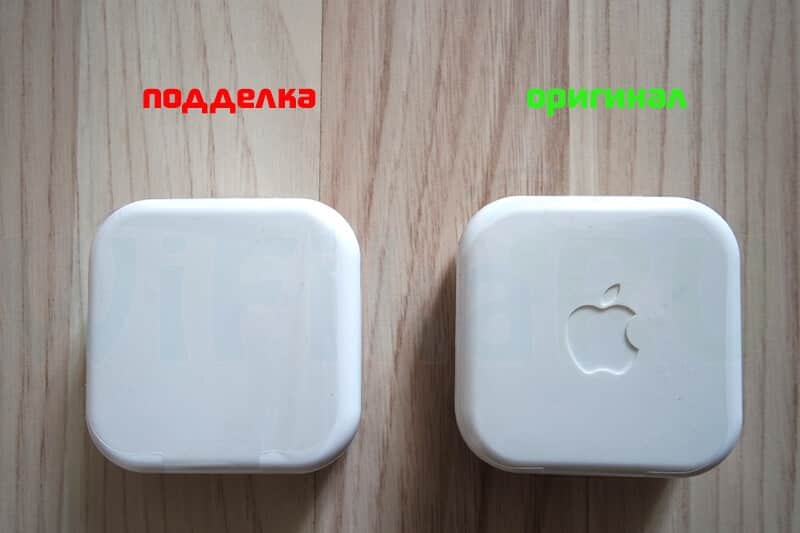 The gaps between the elements should be perfect, and on the top of the branded cover will be pressed out the logo of the manufacturer Apple - an apple. On the contrary, fakes are often made carelessly and without an apple. In addition, you should pay attention to the charger. If the iPhone is from the United States or the UK, and is equipped with charging for European-type outlets, then the iPhone is not original. The same is true for the box. Visually distinguishing the original packaging from a fake is almost impossible. But, phones from Britain come in a package that is somewhat larger than others. This is due to the use of the plug with three contacts. Accordingly, depending on the type of charger and lining will be different. In addition, often non-original charges for Europe make the form identical to the American devices, although they should differ significantly. You should also pay attention to the brightness of the letters. For counterfeits, they are much brighter than the original packaging. The next step is to turn on the iPhone and check the serial numbers of the device. After downloading the phone you want to make sure that it is not tied to someone else's Apple ID. Otherwise, it will be impossible to go through the activation procedure and use this device in the future. So, if this is all right, you need to enter the phone settings. After that, go to the section "Basic", and then select "About this device." 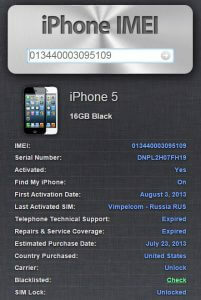 Now you should find the model, serial number and IMEI device. In addition, it is recommended to check the volume of the drive. This can be 16, 32, 64 or 128 Gb. After that, the information found must be compared with the data on the package. They must be identical. By the way, already at this stage of verification, you can get information about the country for which a specific instance of iPhone was released. At the next stage, you should use one of the services on the Internet and check iPhone for IMEI. As such sites can be offered www.iphoneimei.info and a foreign resource www.imeidata.net. The first one is very simple and convenient to use. It is only necessary to insert the desired IMEI into the search form. After that, the service will display phone information. 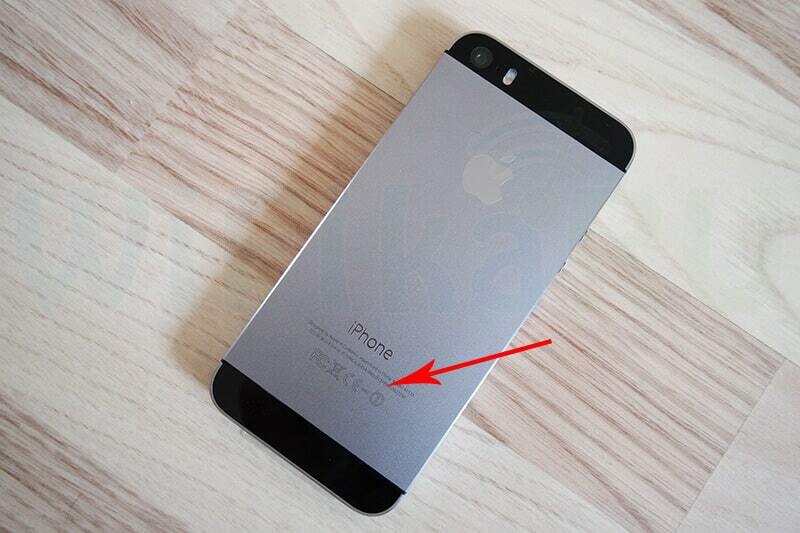 First, the color and capacity of the device will be indicated. They need to be compared with the actual characteristics of the iPhone, which the user has in their hands. If the phone was under repair, then on the site it, for example, can appear in one color, but in reality can be another. This means that the iPhone case has been replaced. The serial number should be identical to what was on the package, in the phone settings and on the device. Find My iPhone is a feature that protects your device from theft or loss. If it is already activated - this is a serious reason to think about the advisability of the purchase. First Activation Date or English First Activation Date is the day the iPhone was first activated. Most likely, it was then that he was sold. 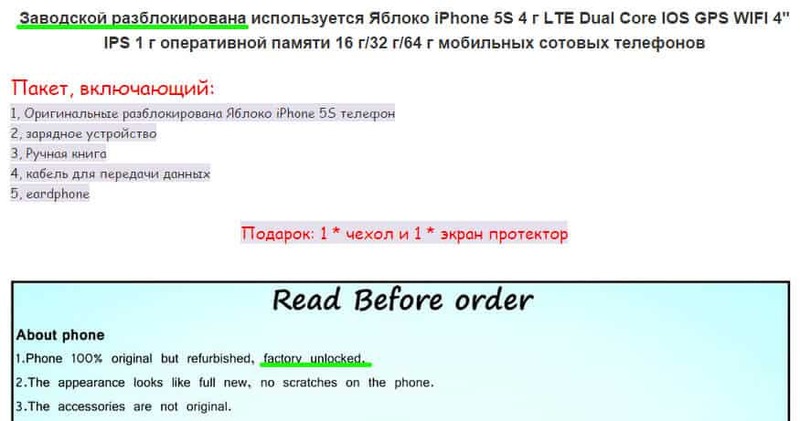 If the seller claims that the phone is new and only from the store, and based on the data from the IMEI verification service for the device for several years, this means that at best, this iPhone changed the screen and case. The Last SIM Activated parameter will indicate the services of which mobile operator used on this device. Telephone Technical Support, Repairs & Service Coverage - data on technical support and warranty status. 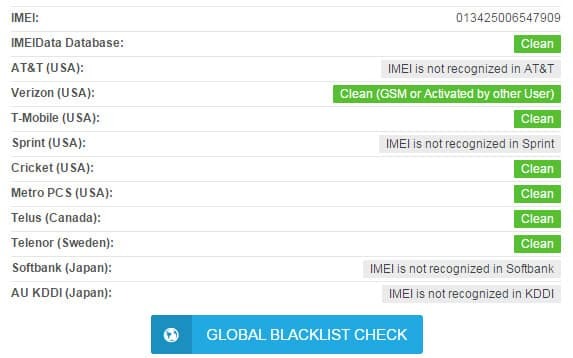 If the verification service by IMEI indicates that they have expired, and the seller claims that the phone is new, it means that an attempt is being made to cheat. In addition, the system will show the country of destination or in English Country purchased. These data must be compared with the model number in which the state for which the device is manufactured is encrypted. For example, ME308LL / A. Here, the two letters before the slash mean that the phone is made for the USA. Opposite the SIM Lock parameter, the state should be Unlocked. This means that the iPhone can function with any SIM-card. All similar information can be found on the second specified network resource. In addition, it provides an opportunity to make one check without registering to find the device in the black list of mobile operators. 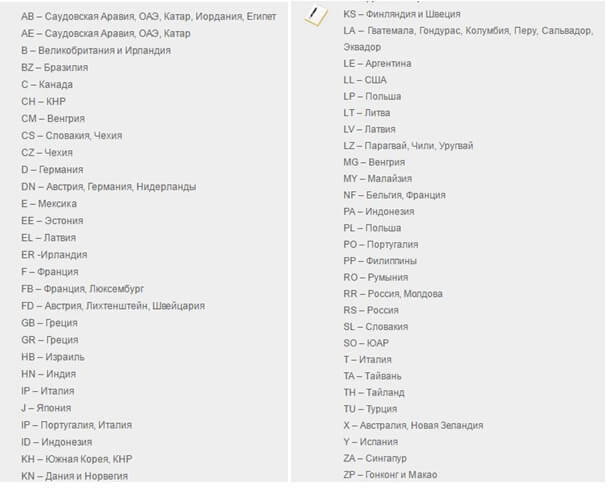 This Free check Blacklist presents the main operators of western countries. Of course, after checking the phone with all the above methods, it is advisable to finally examine its performance. It is necessary to evaluate the functionality of the buttons, microphone and speaker. In addition, you can check the work of Wi-Fi, GPS, tilt sensor and even a compass. In conclusion, it will be appropriate to recall the letter codes of the states selling new iPhones. Appsgames⟾Miscellaneous⟾What is a restored iPhone?